Bob Clouser is one of the most celebrated names in fly fishing and we are proud to offer a series of vises specially designed for tying his famed Clouser Minnow as well as other long streamer patterns. The unique design of these vises is engineered to facilitate proper material placement along the hook shank which is critical for achieving the silhouettes and profiles these patterns require. 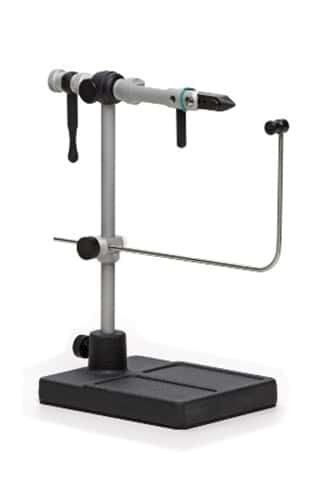 With the exception of the rotary shaft the Renzetti Clouser 2200 Series offers the same features as The Traveler 2200. The versatility of the Traveler Series allows you to have it all. The Vise Head (upper part of the vise) is interchangeable among the Series and Tube Fly Vise. A Traveler Clouser Minnow arm, when sold as an accessory can be used on a Saltwater Traveler by also adding the saltwater jaws. The Clouser Saltwater Traveler True Rotary Vise has the same versatility as the Clouser Traveler, but the jaws hold larger hooks. As inspired by the famed Bob Clouser, the unique design of these vises is engineered to facilitate proper material placement along the hook shank. This is critical for achieving the silhouettes and profiles of Clouser’s signature patterns and others like them.